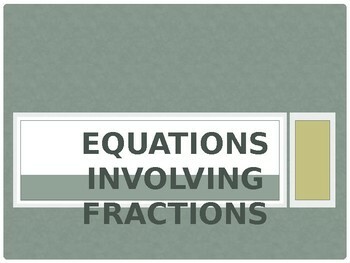 The presentation is on solution of equations involving fraction. 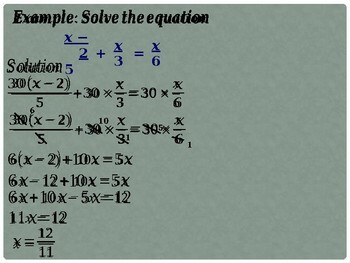 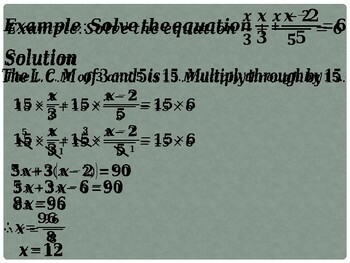 The presentation shows step by step process of solving equations involving fractions. 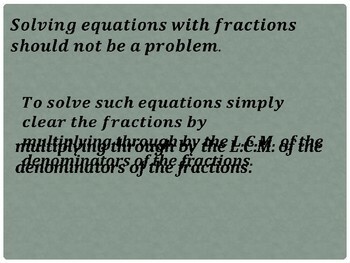 Teachers will find this presentation useful.